Great players have won the World Cup, but the list of top world players that have never won this competition is amazing and would make one amazing squad. Lets look at the best XI players that never won a World Cup. The best goalkeeper to ever play the game of football, Lev Yashin never came close of winning a World Cup trophy. He played in 4 World Cups from 1958 to 1970. In 1963 he won European Footballer of the Year, still up until now the only goalkeeper to earn that honor. He also saved 150 penalty shots and kept 270 clean sheets throughout his career. He was also voted in to the FIFA World Cup All Time Team and the World Team of the 20th Century. 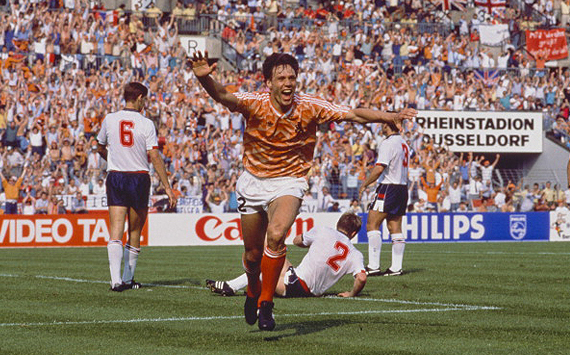 He played 2 World Cups with Holland, in 1990 & 1994. He was part of one of the greatest group of Dutch players to ever walk on a grass pitch. At the club level Koeman was a winner, he won the European Cup with PSV in 88 defeating SL Benfica, he then went on to win 4 straight La Liga titles with Barcelona from 1991 to 1994 and also the European Cup in 1992 against Sampdoria with Koeman scoring the winning goal. He was famous for his freekicks, but he was a very intelligent defender and what he did in his career proves it. A captain for his club Real Madrid he also were the arm band for Spain. A true leader, Hierro was an incredible strong defender not only with his feet but with his head. He played in 4 World Cups for Spain, from 1990 to 2002. He played 89 times for Spain and scored 29 goals, only Torres, Raul & David Villa have more goals for Spain than him, that is a huge statement for a defender. Zanetti played at 2 World Cups for Argentina, in 1998 & 2002. He retired this year, at the age of 40, which it says a lot about how good he has been as a player and team mate. From 1995 to 2014 he played for Inter Milan, something that in modern football is not very common anymore. He was one of the best not only of his generation but of all time. 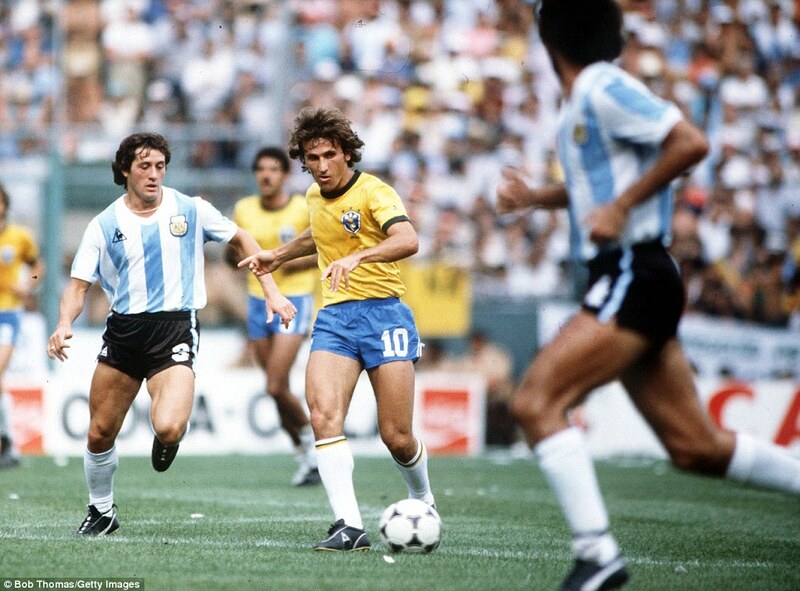 Zico played at 3 World Cups for Brazil, from 1978 to 1986. The 1982 squad was considered by many the best Brazilian squad of all times. Zico was known as the "White Pele", he was a great passer of the ball and was also able to finish. He was one of the true first free kick specialists. He finished his career with 48 goals in 71 caps for Brazil making him the fourth highest scorer in country history. A true legend of the game. He won the Ballon d'Or 3 times, in 1971, 1973 & 1974. In 1974 he led the Netherlands to a World Cup final against West Germany which he lost 2-1. He was the Golden Ball winner in 1974 as the MVP of the tournament. He was the poster child for Total Football and his legacy has remain not only in his country but also at Barcelona in Spain where he played and later on coached. Platini won 3 Ballon d'Or, in 1983, 1984 & 1985. He was a classy midfielder that could pass the ball and open up a defense like nobody in his generation. He played at 3 World Cups with France, in 1978, 1982 & 1986. In the last two he was able to take France to the semi-finals. He was your now typical box to box midfielder, able to break a play, pass, score and was also deadly from the freekick spot. He was the total package. Best never played at a World Cup. The second player in this list of 11 to have never played in the tournament. 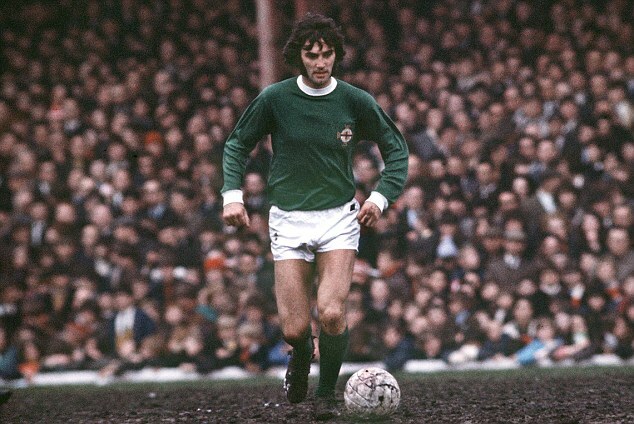 He had 37 caps for Northern Ireland scoring 9 goals. His best performances were never with his national team, but rather with his club Manchester United, where he became a legend for his unbelievable play on the field and insane off the field antics. In 1968 he won the European Footballer of the Year for his performances for United. The "Black Panther", as he was know, is the greatest Portuguese player ever. He played in the 1966 World Cup where he took Portugal to their best finish ever in the tournament, 3rd place. He was the top goal scorer of the tournament with 9 goals, 4 of them he scored against South Korea in the semi-final. Di Stefano when asked about Eusebio said that "For me Eusebio will always be the best player of all time.". 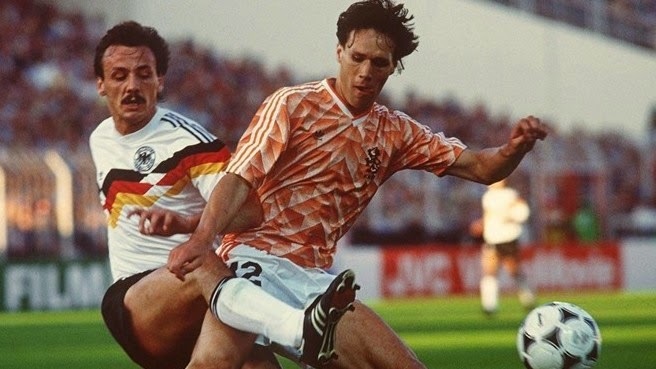 Van Basten won the FIFA World Player of The Year in 1992 and the European Footballer of the Year in 1988, 1989 & 1992. He played in the 1990 World Cup but he never scored a goal in the competition and his country of Netherlands had an early exit. He had an amazing club career at Ajax & AC Milan, the two only clubs he ever represented. He will always be know for his great goals and his incredible ability to breakdown a defense and score from almost anywhere. 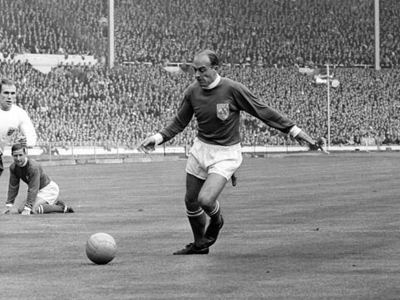 Di Stefano represented three national teams, Argentina, Spain and Colombia. He played 6 times for his country of birth Argentina, twice for Colombia and 31 times for Spain, and yet he was never present at a World Cup. Many players consider him the most complete player of all times. Those qualities were evident when he represented Real Madrid, where he won 5 consecutive European Championships.He is currently ranked 5th in the history of top scorers in the Spanish first division.